It’s now time for the 2017 PDL Play-offs! 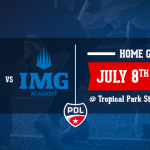 FC Miami City to face the OKC Energy U23 will be one of the most exiting soccer challenge of the 2017 Season for the City Boys! 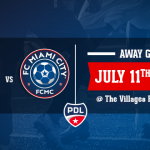 FC Miami City will play it’s semi-final in Clinton, Mississippi. We will see you on July 21st at 5pm. 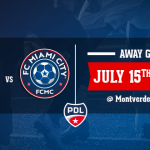 Overall, the FC Miami City had a phenomenal season, improving each and every game and now finishing up with a 10-3-1 on the standings with a total of 33 points and 41 goals scored. Mohamed Kourouma (Momo) #10 accumulating 11 goals, Jonathan Parpeix #21 with 8 assists. Can’t wait to see what the Playoffs will bring to the City boys.